Continued heavy rainfall in Lucknow took one more family in its trap on Friday morning this week. 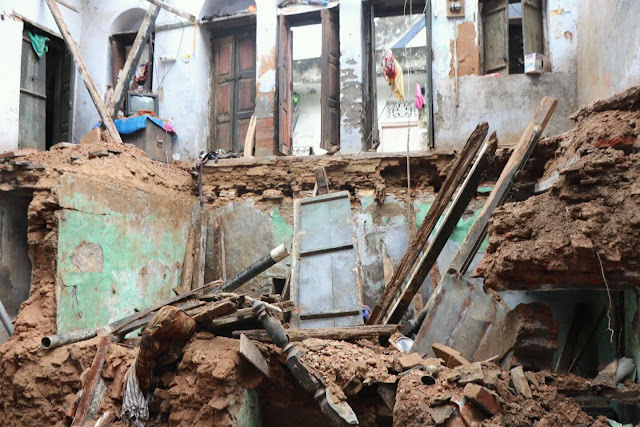 North India is under trap of heavy rain since past 4 days, and about 100 years old house at Old Ganeshganj Area under Naka Police station in Lucknow collapsed in morning. A 10 year old girl, Aashi Mishra and her mother, Sarita, came in trap of it roofs which fell down vertically. At the time of this incident 6 of its family members were inside home while a portion of this building suddenly collapsed which took in its trap a drawing room and the kitchen. Aashi was in kitchen; and Sarita, at first floor, her uncle told to the reporter. The roof of first floor and its base both collapsed with the tons of debrish over two members. The girl died on the spot; while her mother was rushed to district hospital where her condition is stable. 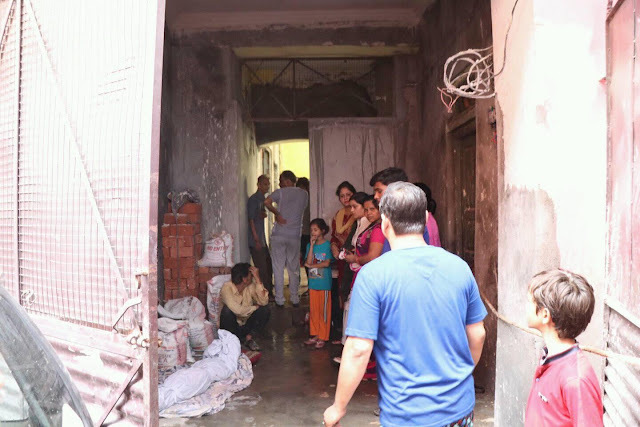 the damage of this building could not be assessed while the casuality of death and injury shocked this family; and many other residents are also in fear of such incident. The heavy rainfall has worsen and disrupted the situation of city and state, and many buildings are insecure condition because of seepage and water logging.